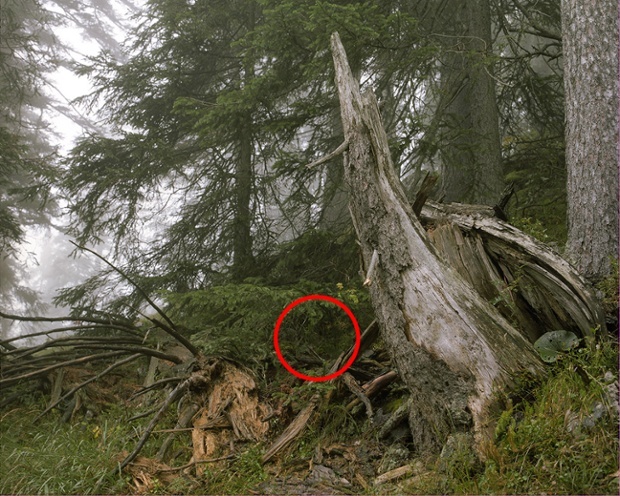 A nuch of pics with snipers hidden in various locations. Can you spot em? I can't. I'd have been nailed...big time. Amazing. Youthful Exuberance Is No Match For Old Age And Treachery. If they want to show the true art of it, they need to have a video camera pointed at the sniper as he takes a shot using blank rounds. I picked out two of them. The rest I'm going to say "whatever" as my heads goes pop. The picture you have on the spoiler I got because no tree for the bushy tree branch to be connected to. Also, actual firing distances are pretty far, making localizing, much less identifying, much much more difficult. I got the one in the rocks after I blew it up considerably. Other then that play taps for me. I spotted three, but the others would have probably nailed me. C'est la vie, c'est l'amour, c'est la guerre, c'est la mort. I think they just randomly circled areas of the pictures. If he is a really good sniper you wont know anything at all.